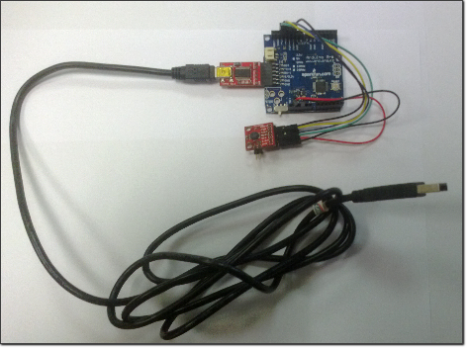 Here you can download the Arduino sketch firmware for your just build barometric altimeter. Used absolute pressure sensor is a SCP1000, you can download the datasheet here, this sensor have a digital SPI interface and a range of 30 kPa-120 kPa. 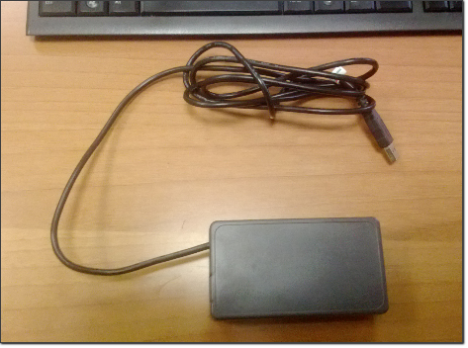 This sensor can be incorporated in a ground station, it have an embedded temperature sensor that, accuracy apart, can be useful to experiment with compensation procedures. Hardware is composed by an 3.3 V Arduino Pro running at 8 Mhz and an 3.3V SCP1000 breakout board. Wiring is straightforward, refer to the Figure 1 Fritzing file can be downloaded here. 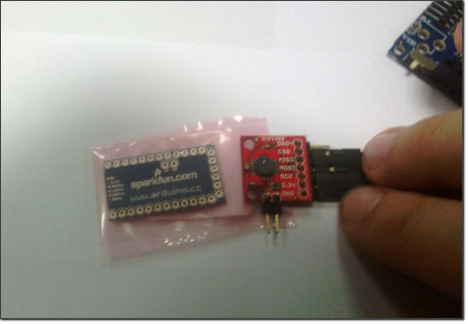 To access the board you need a USB to 3.3V serial adapter, the same adapter used to program Arduino pro. 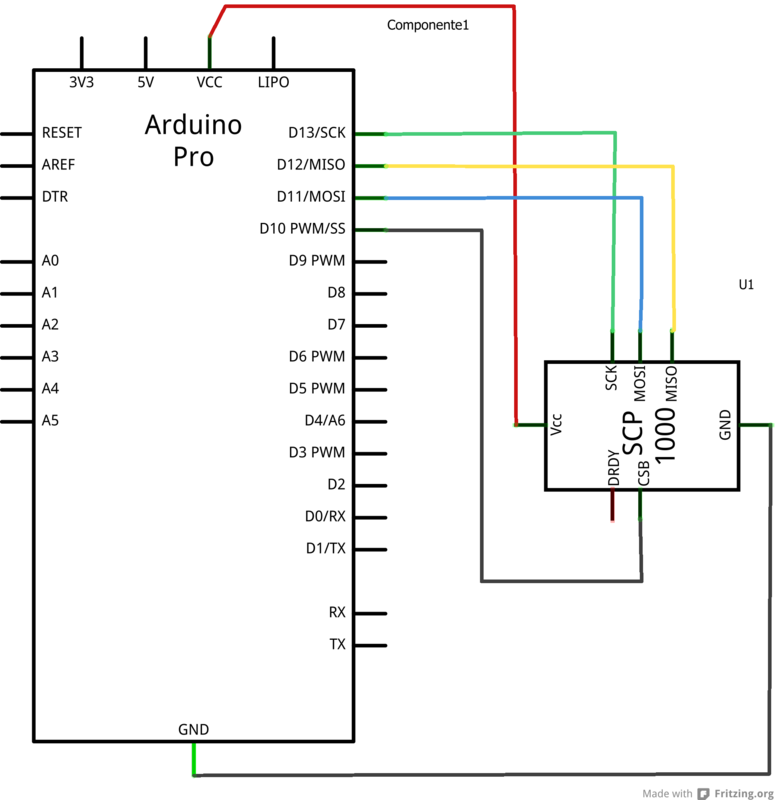 The final circuit hardware complexity is low so there is no need at all for an adapter PCB, if you plan to use the circuit for a long time simply sold the wires to Arduino board. The wiring scheme on Figure 2 with six M/F wires you will get a working prototype, in the picture a 90° bend header pin row have been soldered to SCP breadboard.